Not Sure which Group best suits your child's needs? In this speech and music group, participants will be exposed to activities that will target social communication learning. Learning opportunities will include being involved and initiating social interaction with others, the promotion of gestural and other non-verbal cues (personal space, vocal volume, body orientation, facial expressions) and interaction with others on a shared topic where working together is necessary for completion of task. All learning goals will be addressed through the use of live music and playing of instruments in a fun and interactive environment! In this speech and music group, participants will have the opportunity to play and interact in the live musical experience while using alternative and augmentative communication. Sessions will be based on themes with a variety of opportunities to connect, interact and communicate individual wants and needs in a group activity setting. In this speech and music group, participants will be involved in activities that will target skills using the principles of applied behaviour analysis in the interactive musical environment. Skills such as following a schedule of tasks with transitions and completion of tasks providing visual prompts, modelling and cuing will be addressed. Social skills, emotion identification and self regulation skills will also be addressed through the speech and music activities. In this parent and tot group, children who have been identified as having speech difficulties/delays will have the opportunity to interact with parents through a supported speech and musical environment. The live musical experience including use of instruments will allow for social communication and interaction that parents can encourage and support in between sessions! A fun group for the whole family! We have teamed up with Kristin Baker, Music Therapist/ Behaviour Therapist, to offer an all NEW program in Niagara: Sing and Say!!! Sing and Say blends Speech/Language/Communication Therapies with Music and Behavioural Therapies, to create a new platform to target client specific goals. - In this group, AAC users will participate in Music Therapy sessions while targeting communication goals using their AAC devices. Children using simple message devices, graphic books, hand signs, iPads and other high tech devices, will come together to participate in a Muscial Adventure! - Social Communicaion goals will be the focus of this group, as children participate in a musical experience with their peers. - children who benefit from ABA strategies wil have the opportunity to engage in a communicative and musical environment with their peers. Groups will run Saturday afternoons for 6 weeks, for 45 minute sessions. We are BEYOND excited to announce we are a Sponsor of the Niagara Mommy&me Playgroup: Family & Parenting Expo/ Mom 2 Mom Sale!!!!! On the day of the event we will be offering FREE Articulation Screenings at our booth within the Family and Parentinng Expo, so please come by and see us if you are interested in a FREE screening for your kiddo! Ever thought about Speech, Language, and/or Communication Support for a loved one? Come discuss how we can help your loved one's communincation GROW!! We will be running our Communicate and Play Camp during March Break! Check out our flyer and see if Communicate and Play is appropriate for your Kiddo! Questions? Comments? Concerns? Want to Sign Up for Communicate and Play? And not only that - we have some GREAT NEWS to share over the next week! Our HOLIDAY Communicate and Play Camp is a week away!!!!! There are still a few LIMITED spaces available!!!! Communicate and Play is a Language Camp designed for children from ages 5-15 who have Expressive Language Delays or who use Augmentative and Alternative Communication (AAC) to communicate - this means they may use Sign Langauge, graphics, pictures, iPad Apps, Devices (dynavox), alphabet boards - or they may use a combination of these modes! At Communicate and Play Camp, your child will participate in holiday activities that are centered around communication!! They will practice holiday vocabulary in a fun, motivating, communication-rich environment with other AAC users - giving them a naturalistic language experience that they can then use at home over the winter break during YOUR family traditions! Remember: it doesn't matter if your child has JUST begun their journey with AAC or if they are a Pro - Communicate and Play is for EVERYONE and activities will be tailored to YOUR CHILD's SPECIFIC NEEDS! If you think Communicate and Play may be a great fit for your child, contact us today to reserve their spot!!!! Holiday Communicate and Play Camp!! We are so excited to announce we will be offering a Holiday Communicate and Play Camp during the month of December! This camp is designed for both Augmentative and Alternative Communication (AAC) users, as well as kids who need support in Expressive Language. The focus of the camp will be to bulk up your child's FUNCTIONAL holiday language so that they can better participate in many of your holiday traditions for 2015. We will be offering two SATURDAY dates: Decemeber 12th and 19th. Families can sign their child up for one of BOTH of the camp dates, as each date will have different activities for your child to participate in. Help grow your child's functional and meaningful communication!!! Lots of Great news COMING SOON! Families - We have LOTS of Great news coming SOON that we cannot wait to share with you! Stay tuned for new programs and services, and thank you for always being so supportive! It's true. Therapy CAN be fun! There are a million and one reasons why someone may see a Speech Language Pathologist. *****None of these target areas have to be approached in a BORING way!!! Finding MEANINGFUL activities for each client can be difficult at times, but is WORTH IT! Functional, Meaningful and Motivating therapy activities help the client to apply what they are learning to their lives and generalize these skills to different environments (home, school, community, etc) – the ULTIMATE goal of Therapy. Interested in private services for a loved one? We've received such great feedback regarding our BACK-to-SCHOOL SPECIAL that we've decided to extend our offer for the month of October!!! If you would like to complete an Articulation Assessment for your child, Contact us Now!! Many other private Speech and Langauge Companies in the Niagara region offer a Speech Assessment for upwards of $130.00. For the Month of October, we are offering our speech assessment with assessment report for $80.00. We have morning, afternoon and evening assessment times available to best suit your family's schedule! Questions? Comments? Want to book an Assessment? Articulation Assessment: BACK TO SCHOOL SPECIAL! As your are getting ready to send your children back to school, Niagara Speech Therapy is offering a SEPTEMBER SPEECH SPECIAL: A Speech Assessment with a full Assessment Report. Reports will be completed and available to families within a week of their child’s assessment! Our Speech Assessments are completed using a Criterion Referenced Test – this means that it will not interfere with any testing they may receive during the school year from the school board! With our speech test we can also RETEST your child’s articulation, allowing us to track your child’s progress perfectly! Many other private Speech and Langauge Companies in the Niagara region offer a Speech Assessment for upwards of $130.00. For the Month of September, we are offering our speech assessment with assessment report for $80.00. We have morning, afternoon and evening assessment times available to best suit your family's schedule! Questions? Comments? Want to book a Session? Contact us NOW! Communicate and Play Summer Camp: COMPLETE! This summer we joined forces with Red Roof Retreat to offer a summer camp that catered to children that use Augmentative and Alternative Communication (AAC) to communicate. Communicate and Play Camp had no prerequisites other than the child had to currently be using SOME FORM of AAC system (sign language, single message device paperbased graphics, app on iPad, etc). Because we opened the camp up to ANY AAC user, we had a huge mix of AAC systems to keep us on our toes! We had a great group of volunteers and support workers assist in the camp as well! With all of their hard work and dedication over the past two weeks, we were able to offer a communication-rich environment for our AAC users to flourish! …enough from me, below are comments from parents about Communicate and Play!! Week One of Communicate and Play Camp - COMPLETE!!! Week One of our Pilot Camp with Red Roof Retreat was a HUGE success!! Everyone worked so hard using their Augmentative and Alternative Communication (AAC) systems throughout every activity – so many meaningful AND functional interactions happening all at once. We had a wide range of AAC systems at our camp – every camper was using a different system and for different reasons!!! Watching everyone communicate successfully with both familiar and unfamiliar people was truly incredible!!! Everyone worked on their individualized goals at their own pace. Volunteers, Parents, Nurses, Helpers - our camp was FULL of amazing support!! A HUGE “thank you” to everyone who was involved!! Everything you did this week helped ensure our campers had the BEST experience possible! The camp was awesome! Great to see all the children paricipating/communicating with eachother using various methods of communication. I dont have one bad thing to say about the whole experience, it was great!!! We have seen great improvements in such a short time! THANK YOU!!! I have seen some great work in a week! I would have put in for more weeks if available! It was helpful for us as parents to have suggestions given and feedback on how we could improve or support communication skills at home. Thanks so much! Seeing our children progress through each week showed us as parents that the program was well structured and meets many of their communication goals! Thank you for all yoru work - we have seen great progress! Loved the camp! Enjoyed by all! A great variety of activities and flexibility! Thank you, Aly, for showing me many practical ways to promote continued communication! With summer fast approaching many families are planning what activities they will fill their summer months with! The end of the year is also a time where families are meeting with school teams regarding plans for the next school year and services that will be offererd for their children. if you have been thinking of starting private Speech, Langauge and/or Communication services for your loved one - look no further! Niagara Speech Therapy is READY to put your family FIRST! We know the summer months are busy, so we are focused on offering session times that best fit YOUR family's schedule! Whether you are looking to get some intensive therapy completed during the summer months, or sessions to help maintain what your child has been working on through the school year, Niagara Speech Therapy is ready to help you acheive your goals for your loved one! Communicate and Play - 2015 Summer Camp : Register NOW! I am SO EXCITED to announce that I will be offering a Half-day Summer Camp as part of Red Roof Retreat's annual Summer Camp series! Our Communicate and Play Camp will be a fun, motivating and meaningful camp experience for Augmentative and Alternative Communication (AAC) users from ages 5-15years. All activities will be centred around communication, allowing your child many meaningful and functional opportunities to use their AAC system throughout the morning. Who is it for? - ANY child (ages 5-15) who uses AAC to communicate. Why should my child attend? - Summers are a busy time for many families, and often it may seem hard to try to incorporate your child's AAC system into many summer activities. Communicate and Play offers a Communication-rich environment for your child to feel comfortable and confident in using their AAC system, and will get them "back in the groove" of using their system before school starts up in September! 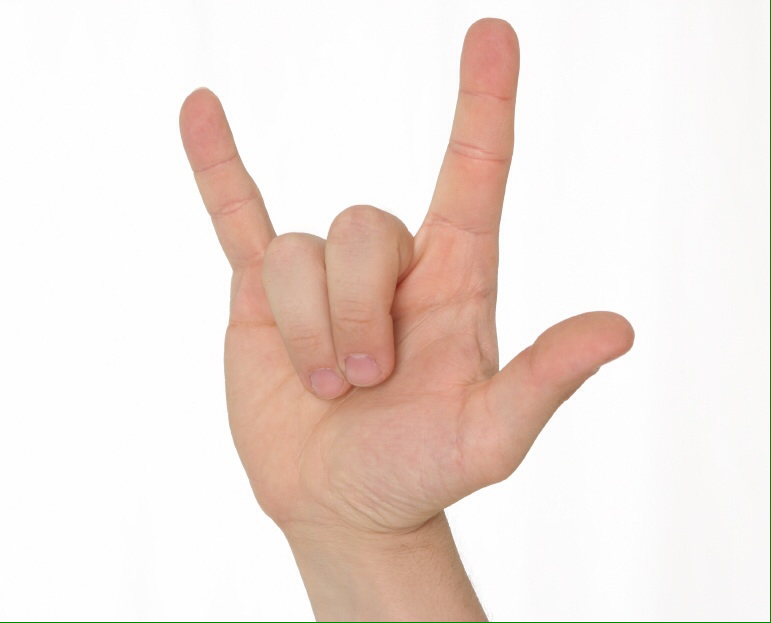 Interested in Private Speech and Language services for a loved one? A lot of families come to me and ask about purchasing an iPad for communication. 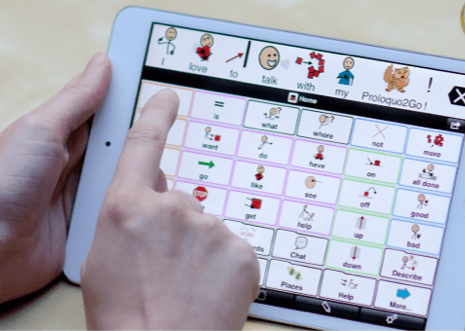 While the iPad has amazing apps that can aid a child in a million different ways, there is no "go to" app out there that is the PERFECT fit for all AAC users - and this is a GOOD THING. We all aquire skills at different rates, have our own unique interests, and learn things in our own ways - for these reasons, it is important that we have different apps, with different features. The MOST important thing about your loved one's AAC system is that is an INDIVIDUALIZED system, created for them. One app may suit a child better than another app, and this does NOT mean one app is better than another - it means that one app caters to your child in a way that will stimulate their communication and aid in further developing their language system. We are SUPER excited to announce that we have partnered with TouchChat, and now have the app availabe for assessment! TouchChat is a user-friendly, highly customizable voice output AAC app for the iPad. Using a blend of SymbolStix, PCS symbols, as well as the option for using real photos; TouchChat visually represents vocabulary and phrases in ways that are most meaningful for the AAC user! TouchChat can be personally programmed for a variety of AAC users of any age. If it is determined that TouchChat is the best fit for you or your loved one, Niagara Speech Therapy will personally customize your page set once the app has been purchased so that the vocabulary is functional and meaningful! Check out the TouchChat website HERE for more information! Language and Literacy activities are happening ALL AROUND US! You can turn ANY activity throughout your child’s day into both an expressive and receptive language activity, and then even link it to a book! For Example: Today a client and I talked about playing in all the snow outside, sang some “snow” themed songs, and then completed a play dough activity building our very own snowman! We took turns adding pieces of the snowman, she instructed me on what needed to added next (eyes, nose, hat, buttons), and then we read some snow-themed books. Using a NATURALISTIC APPROACH, I was able to target many different language goals (turn-taking, eye contact, answering questions, body concept, as well as target emergent literacy by having my client hold the book right-side-up, turning the page, etc. Don’t get yourself down thinking there isn’t enough time in the day – you are already creating the opportunities, now capitalize on them! What's so important about AAC? Do you have a loved one who is labeled “non-verbal”, or perhaps you know someone who has lost their ability to speak after experiencing a stroke – if so, this post is for you. The inability to use your speaking voice should not mean you should lose your independence. Everyone has the right to communicate – the hard part is finding a way for those who NEED a voice. Augmentative and Alternative Communication (AAC) is a fancy term for “using a method other than your voice to communicate”. 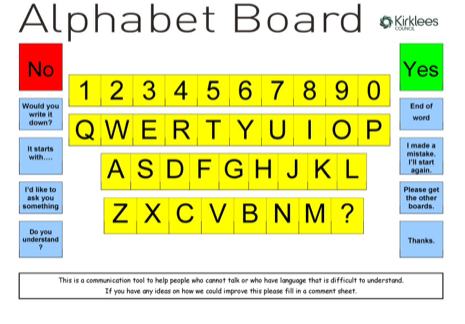 This means that a person may use graphics/photos, alphabet board, text, sign language, a high tech system (iPad/tablet, dynavox), or a combination of methods to communicate. AAC has NO age limit – you are never too old, and it is never too early to begin using AAC. We are ever changing and growing – AAC must grow WITH us. If you have a loved one who was assessed years ago, their AAC method at that time MAY still be relevant, however due to ANY changes in life (change in health, change in interests, change in environment) it is important our AAC system evolves with us. AAC does not discriminate. Whether you are mobile or in a wheelchair; visually impaired and/or hearing impaired, there is an AAC method to complement YOU. Some methods may come quickly to users, and other methods may take years to develop – there is always room for improvement when you are working to achieve independence. All AAC is customizable. It is SO important that your loved one has personalized vocabulary, and they are not just using a pre-made vocabulary set. Meaningful and functional vocabulary will not only increase conversation, but will also motivate an AAC user to use their method(s) more often. Niagara Speech Therapy is one week old today! Thank you for all of your kind words and support! New adventures are always exciting, especially when you have positive people behind you! Our office space at Red Roof Retreat Community Centre is set up, complete with a black board for graphic support (of course! ), and our interactive sensory-tactile wall is being thoroughly enjoyed! Welcome to Niagara Speech Therapy! We are beyond excited to launch our NEW website! In the near future we will be posting therapy tips, workshops that we are offering, and links that we think you may find helpful - So stay tuned!